Ever wanted to be a part of the world of drag racing? Do you have the need for speed? 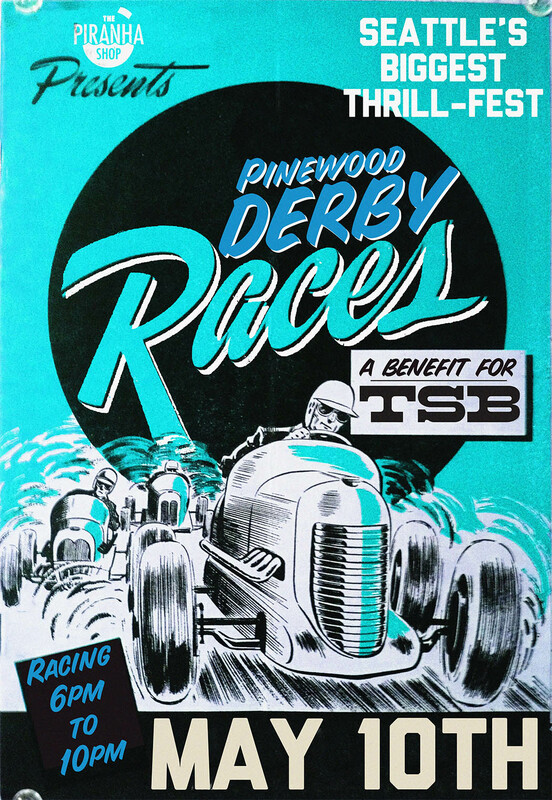 Grab your pit crew and muster up your inner speedster and join tSB for the Pinewood Derby Races at the Piranha Shop on May 10th! Get your motors running and prepare for the race of your life. Registration is $100 and includes your very own derby kit, limited edition t-shirts and a chance to win sweet prizes. But you have to hurry—Registration closes April 30th. Derby kits will arrive April 25th giving crews (up to 5 members) a chance to build the ultimate glory chaser. tSB youth work in small groups to create art, learn to snowboard, and develop service learning projects. Just like them you and your team will have the chance to join together to build your creativity, problem solving skills, and your ability to collaborate. Register today and help tSB youth to leave challenges in the dust!